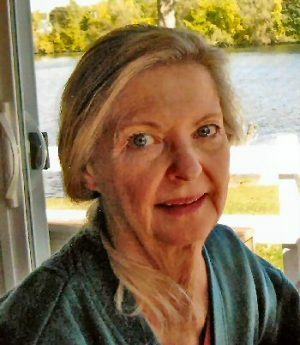 FULTON, NY – Joyce Bailey Sibson, 72, a native of Fulton, died Sunday March 31, 2019. She was the daughter of the late Harold R. Bailey and Catherine Hillick Bailey of Fulton. Joyce was an airline flight attendant for Western Airlines and Delta Airlines based in Los Angeles, Calif., and Cincinnati, Ohio, for 40 years. Joyce and her husband, Byron “Ron” Sibson Sr., had recently moved back to Fulton. She was the widow of Byron J. “Ron” Sibson who died in 2018. Joyce was also predeceased by her sister, Carol Bailey Smith; second husband, Ernest Sibson and first husband, Brad Taylor. Joyce is survived by a stepdaughter, Lindsay Sibson; stepson, Byron J. Sibson Jr., both of Pennsylvania and brother, H. Robert Bailey, of Texas. As were Joyce’s wishes, there are no calling hours or services. To leave a condolence, please visit, fosterfuneralhome.com. Joyce was a sweet person and a very good neighbor to our son. Joyce was my best friend for over 50 years. Always there for me, always loyal and supportive. We had great fantastic times together. I will miss her terribly. Joyce was wonderful friend who was true, loyal and honest. A devoted, loving and caring wife and also loved her many “ critters “ who were lucky enough to be a part of her life. She will be dearly missed and always treasured.